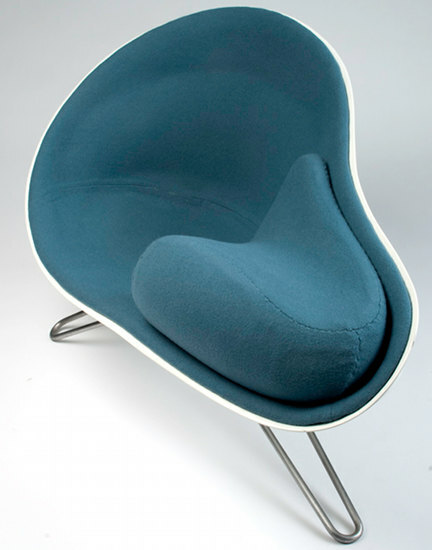 I suspect we may be looking at design destined for greatness in Hanne Kortegaard’s Mussel Chair. Echoing mid-century chairs, it incorporates a number of uses into its pear-shaped beauty. 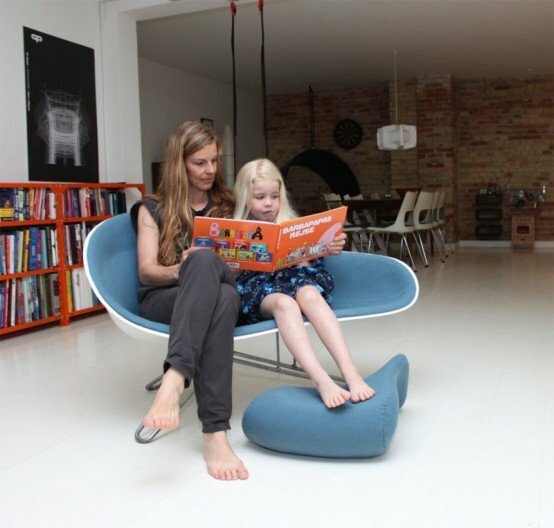 While you’ll be disappointed you can’t rush out and buy the Mussel Chair (it’s a graduation project), there’s no denying its multifunctionality as a seat for two complete with a cushion which can be used as a footstool or floor pillow. It makes a particularly charming reading nook for two, ensuring your child is completely comfy with no dangling legs. 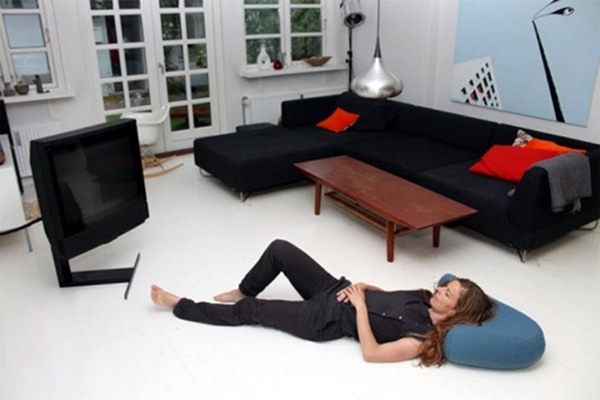 When the kids are in bed, recline on the floor using the cushion as a head rest – you’ll find it ergonomically suited to the curvature of your neck and spine! We hope the chair reaches the production stage – what a fantastic design piece Hanne Kortegaard has created for families. I wonder what she’ll come up with next?